Recognise this print? You should do by now as it's been featured on just about every magazine cover we can think of for the season. No need to name the designer that kicked off the trend. Let's just say that buying from them would set you back two months' salary, at least. And this is why we thank the shopping Gods for ASOS. 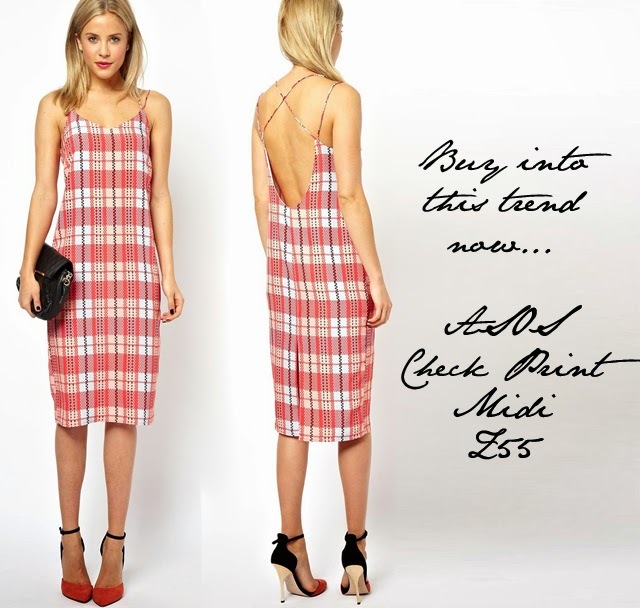 They've given us a check print mini dress this season that is a stunning way to wear the trend. It's £55 and worth every single penny. Trust me... worn mine out now twice and been asked about its origins. Happy to share my secret... ASOS!